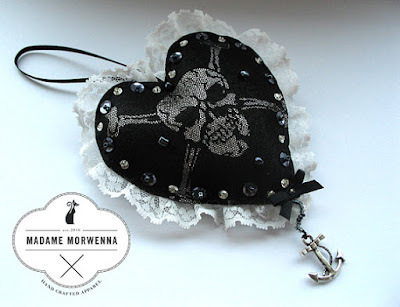 This week's Goth Shop of the Week is Madame Morwenna, "Handsewn accessories for the curious dark-hearts." The shop is based in England. On offer are hanging decorations, such as this stuffed Jolly Roger pirate skull. 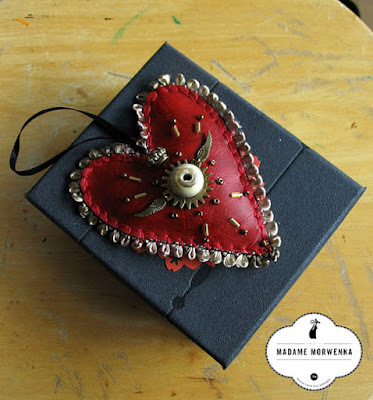 This steampunk heart is another hanging decoration. 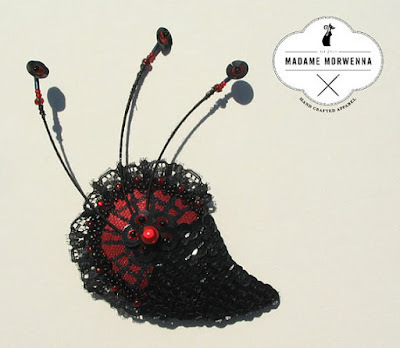 I like the hair fascinators here - this one is "Mini Cocktails 'n' Cobwebs." 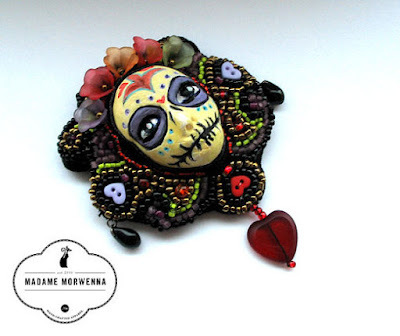 She creates lovely gothic brooches, like this Mini Stuffed Mexican Sugar Skull brooch. 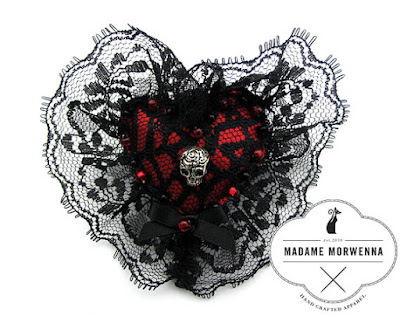 Here's an intriguing Day of the Dead brooch, too. 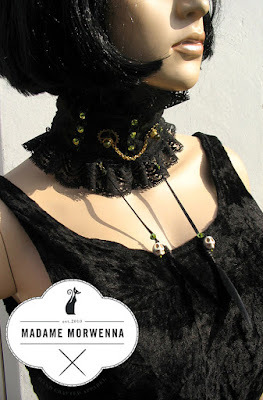 The shop offers a couple of chokers, such as this Steampunk Voodoo frilled choker.